Zodiac sign of Taurus the Bull, (although not if you were born after 21st) and of Lily of the Valley is your flower. 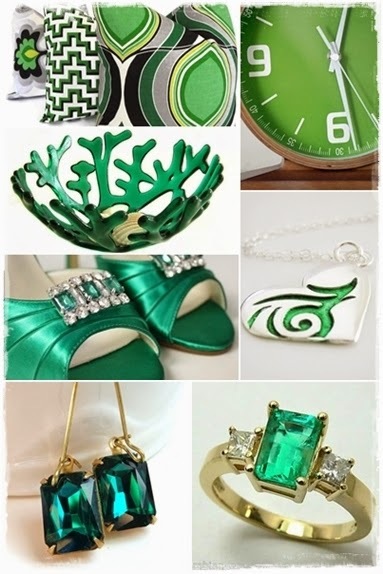 But today I am focusing on Birthstones, specifically the Emerald. Due to its rarity in nature these days a truly fine quality emerald gemstone can be more expensive than some diamonds of the same carat weight. The ancient origin of birthstones, according to some scholars, can be traced back to the stories from the Bible depicting the breastplate of Aaron which contained twelve gemstones representing the twelve tribes of Israel. Over time these gemstones become connected to and associated with the Zodiac signs and were believed to have special powers for each zodiac sign and gemstone. Of course, like everything, these ancient beliefs have morphed over time and now we associate gemstones and colours being a symbol of your birth month, amongst other things. The origin of the name Emerald is derived from the Greek word "Smaragdos" which means "green gem" reflecting the color of the emerald. 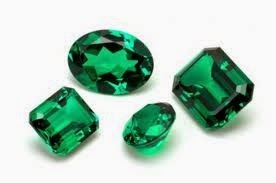 The Emerald as a birthstone is usually a deep or intense green and is believed to represent Fertility, Birth and Love. The Emerald is believed to be Cleopatra’s favourite gemstone in ancient times. The gift of an emerald is believed to represent love and fidelity so can be the perfect engagement ring for those who want something with a little colour. So I thought this would be the perfect time to share a little Handmade Emerald Green Inspiration from Etsy.